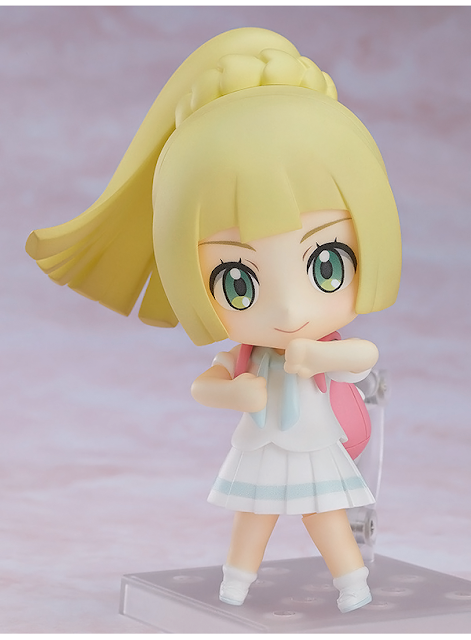 Good Smile has revealed their finished Lively Lillie Nendoroid! She was originally revealed as a prototype back in February. 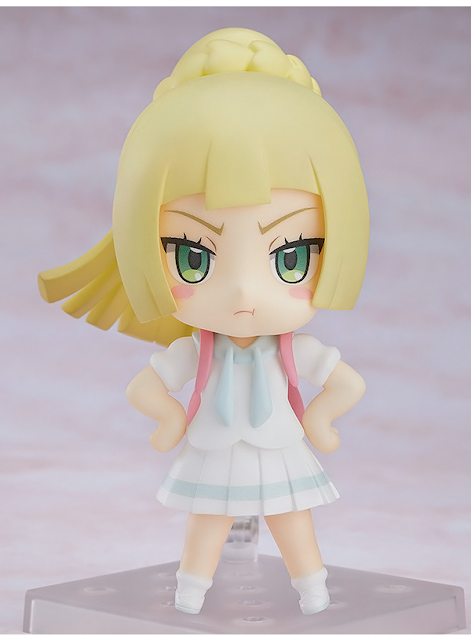 She comes with three face plates (standard smiling face, upset expression, cute smiling expression). Also included are her backpack, a Heal Ball, and her Clefairy. 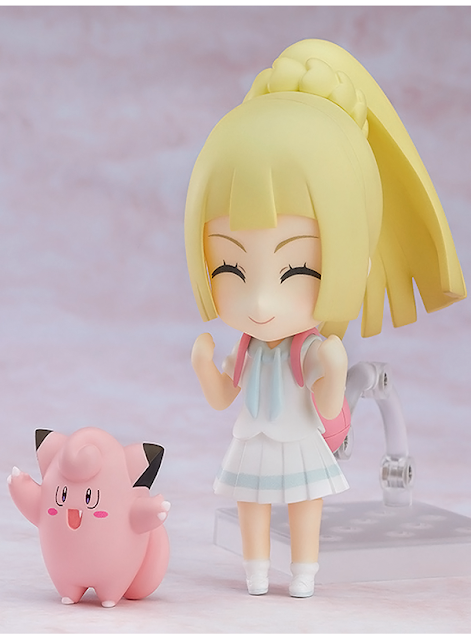 The figure will be released in November 2018. 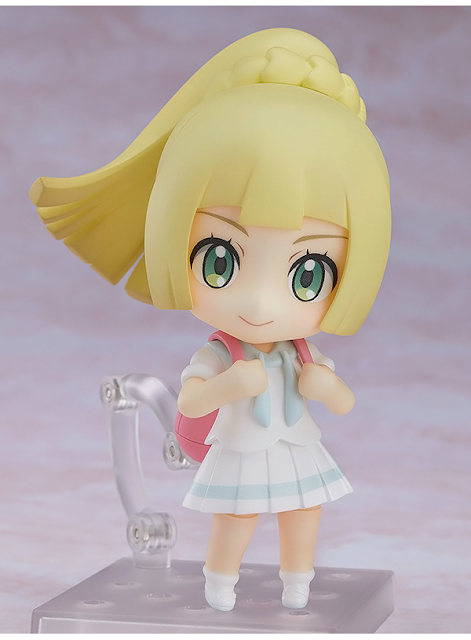 It is priced at 4,444 yen. A pre-order bonus Alola Photo Club frame set is available as a bonus when pre-ordering with Good Smile. 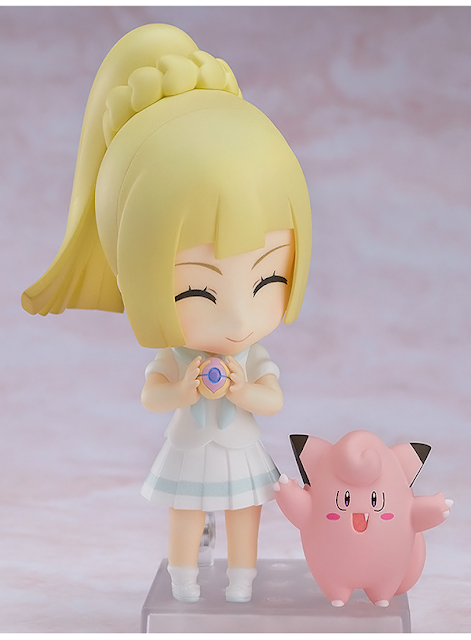 Cosmoem is the bonus when pre-ordering from the Pokemon Center.